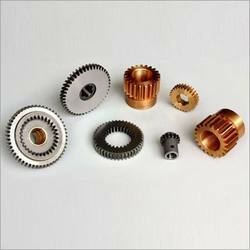 Offering you a complete choice of products which include spline shaft, lathe machine spare, lead screw and spur gears. 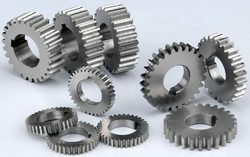 ur company has emerged as one of the top most positions in the industry for offering a wide range of Spline Shaft. This range of Spline Shaft is sturdily constructed to provide optimum efficiency to the user. These products are highly acclaimed by the clients for their preciseness, flawless performance and many other unique features. We have reasonably priced our entire product range without finding grounds for quality. We have manufacturer Of lathe machine spare parts, we can supply all type of lathe machine parts like light duty lathe machine, medium duty lathe machine, heavy duty lathe machine.